For more information on our vacation homes, visit http://luxvacationrents.com/. Gather with family and friends in style at The Lodge at Springwater. 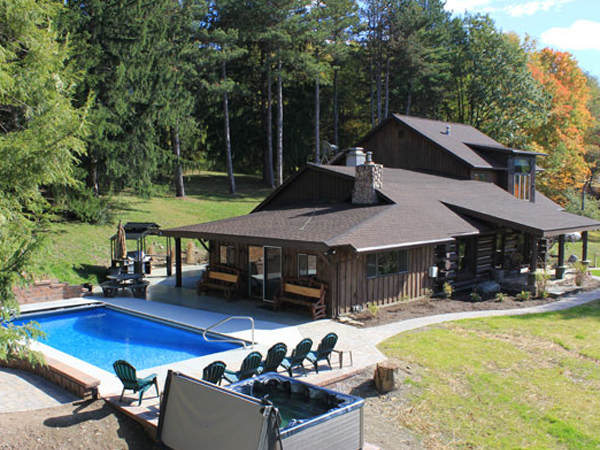 Nestled in the Finger Lakes Region of New York State, this country retreat is perfect for your next family get-together or event. 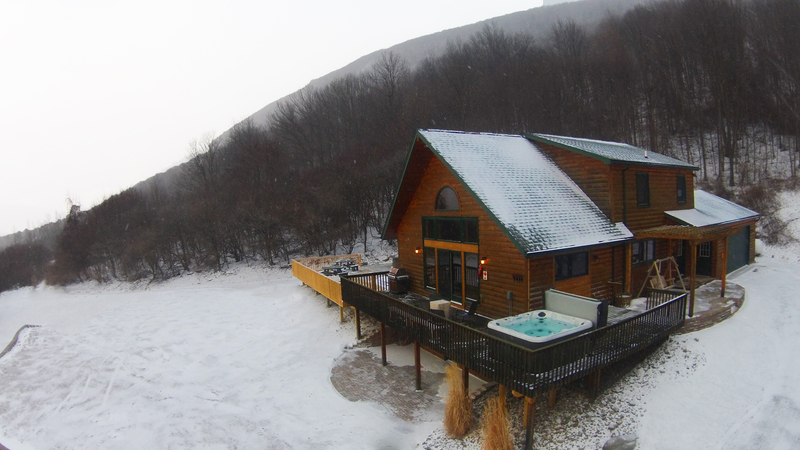 The Lodge On Canadice Lake This luxury 4,000 square foot log retreat sits on 7 acres of spectacular wooded privacy. 4 full baths compliment 5 bedrooms/9 beds, which sleep 16 to 18 people comfortably. All sleeping rooms are decorated with charm and personal touches. There is plenty of room for your “master chef” to swing a skillet in its fully equipped gourmet kitchen with commercial grade appliances. A stone fireplace and cathedral ceilings with floor-to-ceiling stone accents and architectural beams lends comfort and relaxation to the great room! Tired of taking in the view or lounging around? Take in our fully equipped game room or venture outside where you will find our in-ground pool, spa, barbeque patio. 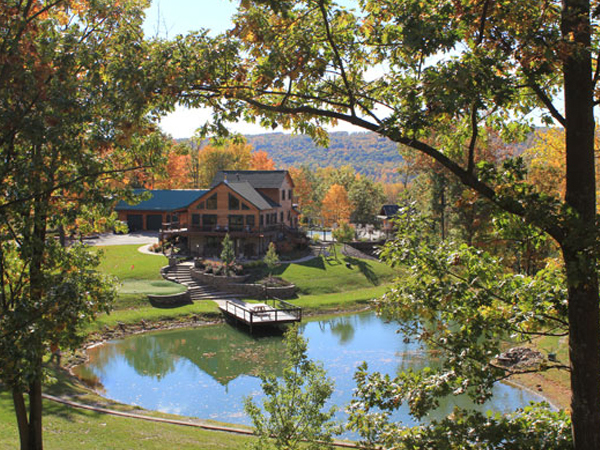 Mountainside Lodge in Bristol is located about one half mile from Bristol Mountain Ski Resort. The view of the mountain from the house is spectacular! The grounds include an in-ground pool, 6-person hot tub, grill area and fire pit. The house sleeps up to 22 people comfortably. The top floor (third floor) offers 3 bedrooms (2 with 2 queen beds each and 1 with 2 sets of bunk beds – 4 twin beds) and a full bath. The main floor (second floor) opens to a living room with fireplace, dining area, gourmet kitchen, laundry room, powder room (half bath) and Master King Bed Suite with full bath. The ground floor is the FUN floor! A cozy living area offers 2 futons which pull out into double beds, pool table, arcade games, full bath and a bedroom with a futon which pulls out into a double bed and 2 queen beds. Luxury temporary living is unmistakably taken to the next level at our upscale executive apartment located in the suburb of Brighton just minutes from downtown Rochester. 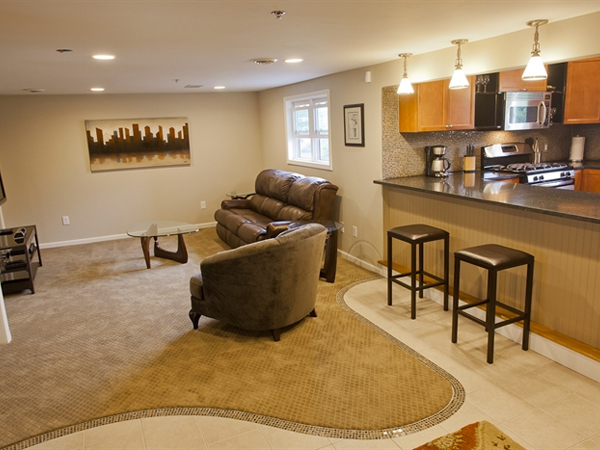 This fully-furnished two-bedroom /two- bath executive apartment provides short-term living for executives on the move or relocating and for families visiting the Rochester area with all of the conveniences and comforts of home. The Suites is available for nightly rentals starting with our 2 night minimum stay. Ask about our weekly and monthly rates.